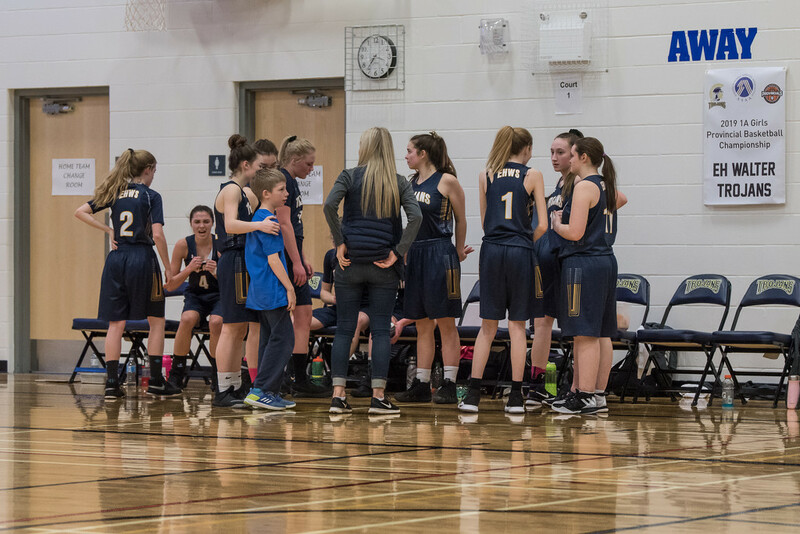 Our school is hosting Basketball Provincials this weekend and it started today. The girls lost their first game in a nail biter. Each team has a host from the grade six and seven classes, and our team's host is Paul. He got to lead them into the gym for opening ceremonies and sit on their bench during the game. I loved this picture of him with Brynn's arm around him.